Careers – Apply Now ! Sutton Contracting was founded by Stuart Sutton in August of 2003 to provide higher quality construction solutions to local builders in the Tampa market. 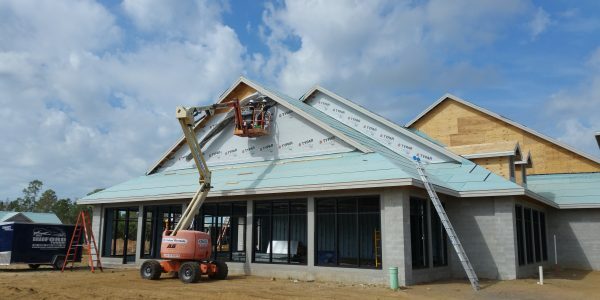 From our humble beginnings as a house wrap specialist we have grown into one of the leading house wrap, siding, decking and waterproofing installation companies in Florida. We work with over 25 residential and commercial builders covering markets in Tampa, Orlando, Sarasota, Venice, Punta Gorda, Fort Myers, Naples and everywhere in between. Over the last 13 years we have developed lasting relationships with our building partners by offering the highest standard of quality and professional service. We do it right! Sutton Contracting has built a reputation for quality and professional service through our undying determination to be the best. Our house wrap and waterproofing team members are Dupont Tyvek Certified and OSHA trained. We install house wrap, waterproofing, decking and siding on jobs ranging from single story homes to large commercial multifamily buildings. Our Hardie siding Artisans are second to none in the skill of their craft. We only use the highest grade electro galvanized fasteners to ensure our projects will stand the test of time. We offer high pressure fastening systems for “Direct to block” siding applications as well as furring over block for those clients who want to utilize an air barrier. The composite products we provide and install are the best in the business. Azek products are 100% PVC, which means no fillers! Azek decking, trim and railing products will stand up to the elements like no other and when installed by our skilled Craftsmen you can rest assured your investment will be safe for years to come. Sutton Contracting is built on relationships, that include clients, employees, and vendors. We tailor our relationships to each unique client to ensure that you receive the type of service, which best suits, your business philosophy.